“Salute”, the new video from Detroit’s acclaimed hip hop group 5 ELA, has now been released from the collective known as STARFLEET. Amidst mounting world problems and a global deficiency of compassion, this collected crew of individuals has come together to make a declaration of love for the entire world. Produced by Black Bethoven, “Salute” is an introductory track to 5 ELA’s upcoming album Global Warming. The song will not be on the album, but will set the tone for the sound of the project and the message of a peaceful future through intellectual, political and spiritual awareness. The artists who appear in the video are all leaders in their field and add to the collective beauty of Detroit culture. 5 ELA aims to help elevate the culture of the city by exhibiting the principals of personal ascension through love of the self and refinement of thought and habit. The 15 minute experimental video was directed and produced by Steve Furay for Common Breath Media, an indepedent multi-media company operated on the principal of creating media that exhibits accountability to the community. The intent of video project was to build on the creativity of the 5 ELA song, expand the audience’s imagination towards the cosmos and develop an introspective visual meditation. 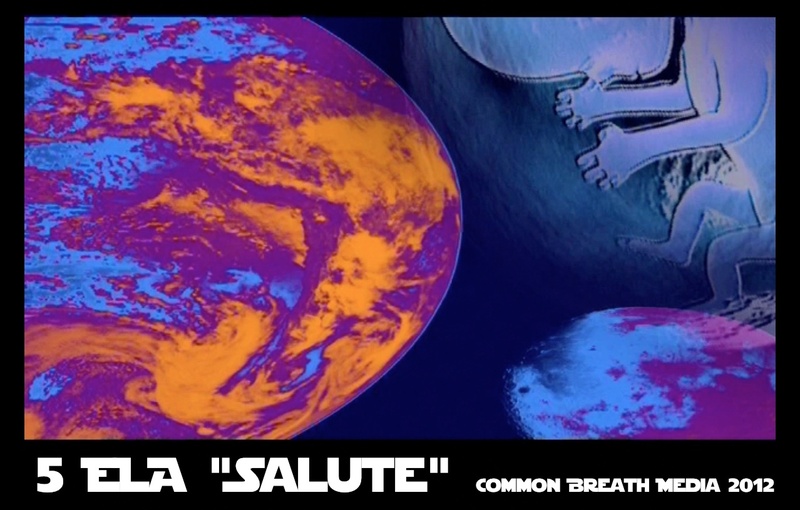 The “Salute” video is also a visual representation of the five elements of hip hop, the four artistic elements (DJ, MC, Bboy/Bgirl and graffiti) plus the fifth element, knowledge, that is the backbone allowing the culture to truly reach the hearts of the people. As more people throughout the world continue to identify themselves as a part of the culture, it has become more important than ever to advance the idea of the knowledge element of hip hop to help people see its importance. Creative media expressions like the video for “Salute” can help the world see this broader vision and participate in hip hop culture with more depth.